Margo Aertgeerts, 22 years old, was born in Belgium. Margo is a senior bachelor student in Business Management with specialization in Accountancy-Tax. This spring she will do an internship in the Accounting, Compliance and Reporting department of Ernst &amp; Young. In June she will obtain her bachelor’s degree and after that she will start a Master of Science in Business Management at the University of Brussels. Robrecht Eyers, born in Belgium 23 years ago, is a senior bachelor student in Business Management with specialization in Accountancy-Tax. He also followed a teacher’s trainee programme to teach 12 to 15 years pupils the subjects of history and economics. After the NIBS Worldwide Case Competition in Guatemala he starts his internship at Deloitte Belgium Tax and Legal. He will graduate in June 2018.
movement organization. Matthias’ main goal is to start his own company and become a valuable competitor on its market. Heleen Vanrenterghem is born in Roeselare, Belgium. Heleen is a senior bachelor student in Business Management with Finance and Insurance as major. She just returned from a Erasmus experience in Rotterdam where she took part in the Business Pressure Cooker program. The core courses of this program were consulting and solving business cases. 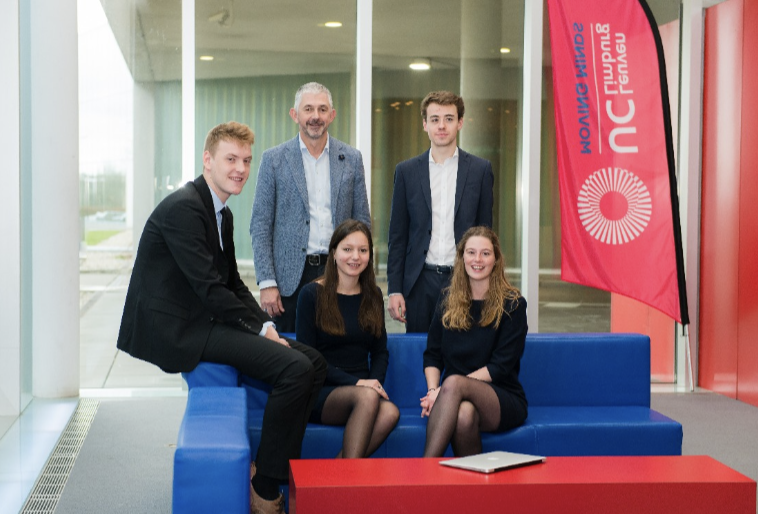 Heleen was also a volunteer during the Rotterdam International Case Competition in November. 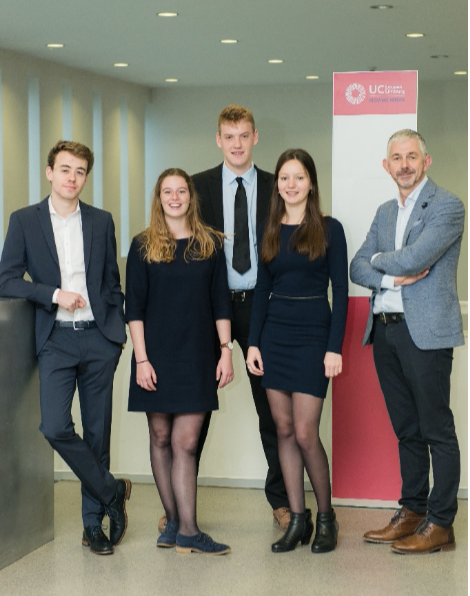 In this week she exchanged experiences with teams from all over the world and was inspired to become part of the case competition team of the UC Leuven Limburg. This spring semester Heleen will start her internship at Nuytten.eu to learn more about insurance in practice. Mario De Wolf (coach) is a lecturer at UC Leuven-Limburg, Faculty of Management and Technology. His main subjects are Market Research, International Marketing and Business Consulting Methods. Furthermore he coaches several student projects. As staff member of the International Office he is coordinator of the Erasmus Exchange Programme for incoming students. He also organizes the annual International Marketing Week and supports students in their search for master studies abroad. His main hobbies are jogging, traveling, photography and reading.